Former rugby player Eric Prissette consistently fashions excellent wines from various parcels in St.-Emilion. At the urging of consultant Stephane Derencourt, Prissette keeps crop yields low (27 hectoliters per hectare), and practices such winemaking techniques as cold soaks, month-long macerations, malolactic in barrel, and aging on lees. The 2,000 cases produced each year are gobbled up by enthusiastic consumers looking for wines that will be drinkable during their first 10-15 years of life. 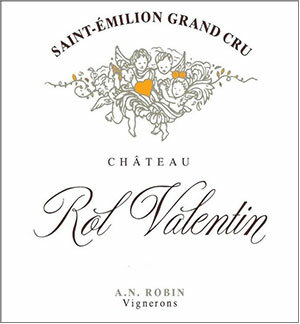 The 1995 is just now hitting its peak, so I suspect Rol Valentinâ€™s aging potential is even longer. The 2005 reveals sweet black cherry notes intermixed with espresso roast, black currants, dried herbs, and spice. The vintageâ€™s fresh acidity and moderately high tannin come through in the mouth, but they are well-integrated, and the wineâ€™s admirable concentration balances out the formidable structure. However, this effort will not be as charming in its youth as other recent vintages. Anticipated maturity: 2012-2020+.